Creating comfortable indoor temperatures is a delicate balancing act between equipment, air flow, and mechanics. A qualified licensed HVAC contractor is crucial to quality installations and repairs. As a do-it-yourself (DIY) enthusiast, you may be able to paint a room, install a ceiling fan, change the oil in your car or even take on some other projects that you feel you’d be proficient in. However, heating, ventilation, and air conditioning (HVAC) installation and repairs should be left to the professionally licensed HVAC dealer. This isn’t only to ensure the job is done properly and professionally, it ensures your safety. Creating comfortable indoor temperatures is a delicate balancing act between equipment, air flow, and mechanics. 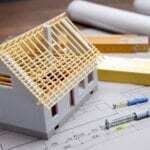 A qualified licensed HVAC contractor is crucial to quality installations and repairs. Residential HVAC systems are complex systems with many components. Dealers often have years of training before they become experts in residential indoor comfort systems. In some locations, HVAC contractors must register for a professional HVAC license and/or pass tests for applicable certifications. 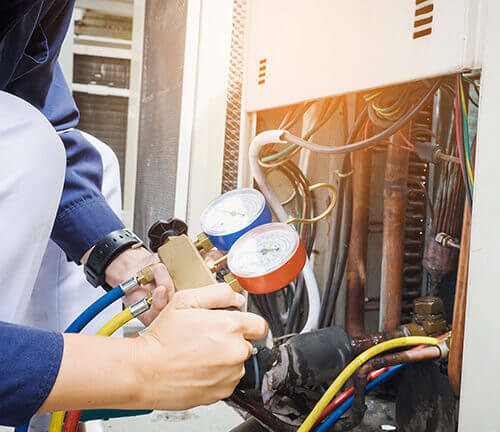 As new products and engineered technologies are introduced into the HVAC world, licensed or professional HVAC technicians often receive additional training, making them more suitable for the task at hand. This training may expand their skill set and how to align product advancements to a home’s current HVAC set up. Your home’s HVAC configurations may be unique and require specific knowledge in order to properly repair or install the advanced equipment, parts or technology that is available on the market. Without technicians receiving additional training, you’d find yourself in quite a predicament. We have 3 tiers that cover anything from basic maintenance to parts to complete system coverage, book an inspection today to see which tier your system qualifies for. KCS offers a $79 Diagnostic Fee to do an inspection of your system and pinpoint the issue, then present repair options & pricing before any service is done.